Apple and two companies that have worked to enable iPhone de-encryption continue their back-and-forth efforts. Multiple sources familiar with the GrayKey have told Forbes that the device can no longer break the passcodes of any iPhone running iOS 12 or above. All GrayShift customers sign very strict non-disclosure agreements, as any leaked information could help Apple close the vulnerabilities they are using, whether they find them themselves or buy zero-day flaws in Darknet, said Vladimir Katalov, CEO of Russian forensic tech provider ElcomSoft. GrayShift's technology – the GrayKey blackbox – seems to fully support devices running iOS up to 11.4.1, he said. "Honestly, we are not absolutely sure that the hole has been completely closed; or maybe they will still find a workaround, or develop/buy another way," Katalov said via email. "So that is [a] cat and mouse game that is still ongoing. Now..., GrayShift will probably spend even more efforts to hide their findings from the media. "That is probably good for law enforcement, but definitely bad for the community, as it leaves some doors still open," Katalov added. "That's only a question of time when GrayKey will become available to some criminals." Grayshift's GrayKey de-encrypting device – a 4-in. x 4-in. box with two iPhone-compatible Lightning cables – was first discovered by Motherboard; it reviewed police department public records and emails obtained from federal agencies that revealed purchases of the device. The GrayKey box could apparently unlock an iPhone in about two hours if the owner used a four-digit passcode and three days or longer if a six-digit passcode was used. Grayshift competitor Israel-based Cellebrite also sold its Universal Forensic Extraction Device (UFED) to law enforcement agencies as a service, including a $558,000 contract signed with ICE in August, according to a Freedom of Information Act request filed by the Electronic Privacy Information Center (EPIC). 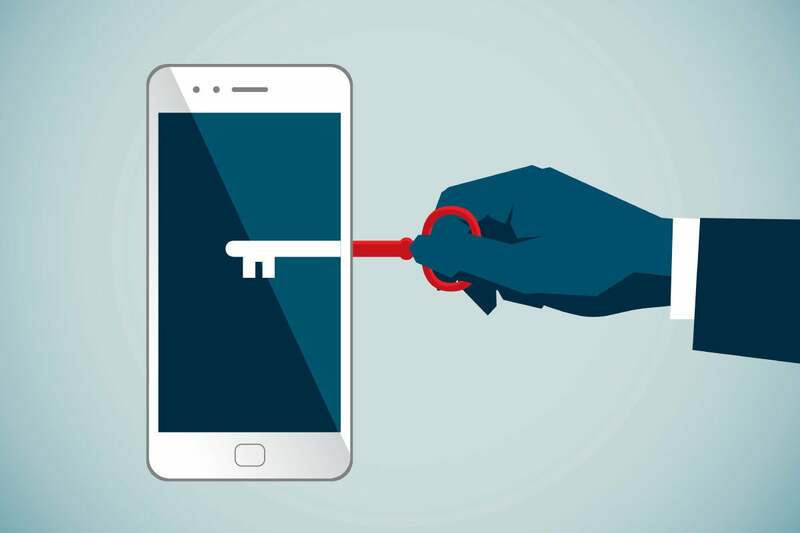 The technology can also purportedly extract private information without a passcode from private cloud-based accounts, such as those used by Facebook, Gmail, iCloud, Dropbox, and WhatsApp. "I should note that Cellebrite... [has] about the same skills, but do not offer the product; [they] only provide the service – authorized parties can send their devices to them and get them back unlocked (on success, of course; and after paying several thousand bucks)," Katalov said. "But there is another issue there – whether you can trust them." In February, reports surfaced that Cellebrite had discovered a way to unlock encrypted iPhones running iOS 11 and was marketing the product to law enforcement and private forensics firms around the world. According to a police warrant obtained by Forbes, the U.S. Department of Homeland Security had been testing the technology. It was not immediately clear if the iOS 12 changes affect the Cellebrite technology. Earlier this year, Grayshift emerged as a different company that had developed an inexpensive black box that could unlock any iPhone; Motherboard reported that local and regional U.S. police departments and the federal government had been purchasing the technology. Nate Cardozo, a senior staff attorney with the Electronic Frontier Foundation (EFF), a non-profit digital rights group, said earlier this year he believed the reports that the iPhone's encryption had been cracked. Otherwise, law enforcement agencies wouldn't be purchasing the hacking technology. "Basically, this is a cat and mouse scenario, as is all security. Something gets broken, the vendor fixes it, then people learn how to break in again," said Jack Gold, principal analyst with J. Gold Associates. "I have no doubt that new techniques for breaking the encryption are already being worked on. "The idea is to make it as hard as possible by adding layers of encryption or long keys to encode, decode. But a determined decoder can crack it, given enough tools and enough time," Gold said. EFF's Cardozo said consumers shouldn't be overly concerned about iPhone-cracking technology because law enforcement agencies must still obtain a court-issued warrant to unlock a device. But those concerned about privacy rights should realize that once cracking technology becomes available, it's reasonable to believe law enforcement agencies won't be the only ones to gain access to it. “If you believe the only people with access to GrayKey or Cellebrite are the cops, I've got a bridge to sell you," Cardozo said. The documentation described the new feature as a way "to improve security." "For a locked iOS device to communicate with USB accessories you must connect an accessory via Lightning connector to the device while unlocked — or enter your device passcode while connected — at least once a week." If an iOS device is not unlocked after seven days, an iPhone's or iPad's Lightning port turns into nothing more than a charging port, locking out any data connection at the USB-interface level, according to Elcomsoft's description. "Its effect on passcode unlocking techniques developed by Cellebrite and Grayshift is yet to be seen," Elcomsoft explained in its blog post. Just this week, Apple CEO Tim Cook reiterated the company's efforts to protect user privacy at a conference of European privacy commissioners in Brussels.